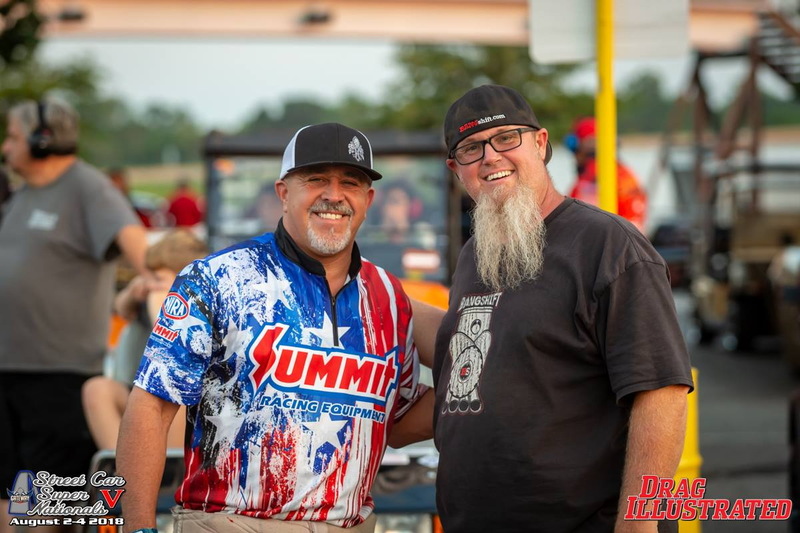 TULSA, OK (Aug. 9, 2018) – The trouble started not long after Keith Haney’s team hauler headed out of Tulsa bound for St. Louis and the Frankenstein Engine Dynamics Mid-West Pro Mod Series (MWPMS) event at Gateway Motorsports Park. Rolling northeast on I-44, approaching the halfway point of their 400-mile trip, a tire suddenly let go on the trailer, forcing an emergency stop at the next available exit in tiny Mount Vernon, Missouri. “We got so damn lucky, we get off the exit and boom, there's a tire place right there,” recalled Haney, a veteran MWPMS racer, as well as owner and promoter of the series. “It would have taken us probably two or three hours to change that tire ourselves, but we go in, they tell us where to park, jack it up, change the tire, and in less than 30 minutes we’re back in business. Unfortunately, the mishaps didn’t end there. Shortly after arriving at Gateway and setting up in the pits, Haney was lying near the back of the trailer hooking up an air line when a crewmember accidentally lowered the trailer’s heavy lift gate on his right foot. “My guys were lowering down the golf cart and I had the front part of my foot just far enough under so that it got crushed,” he said. “It was swollen immediately, looked like a football, so of course I went to the coach, put ice on it and kept it elevated, but within a couple of hours I was convinced to go to the hospital. Luckily, the X-rays revealed no broken bones for Haney, but with significant tissue damage beneath the skin, a prescription for pain control and elevated rest was in order. That meant he missed Thursday night’s opening round of qualifying, but by Friday afternoon Haney was feeling better, the medication had worn off and he felt ready to try on his Stand 21 driving shoe. However, transmission troubles in both of Haney’s qualifying attempts left him outside what turned out to be the quickest 16-car field in MWPMS history with a 3.78 bump spot. 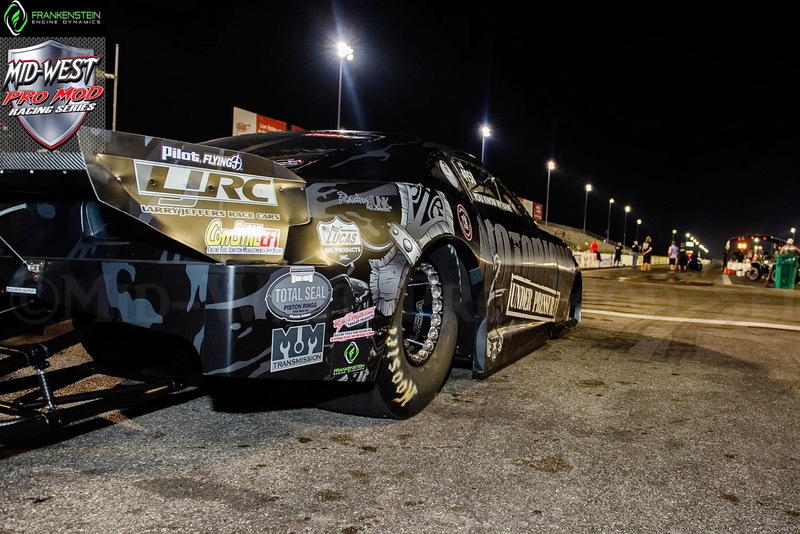 With only Saturday’s final qualifying session available the pressure to perform was intense, but Haney managed only a 3.80 that relegated him to the unique MWPMS Slammers class for non-qualifiers that also allows buybacks for qualifiers eliminated from round one of Pro Mod racing. “I’ll admit it was disappointing, but we just faced one issue after another and it eventually caught up to us,” Haney said. 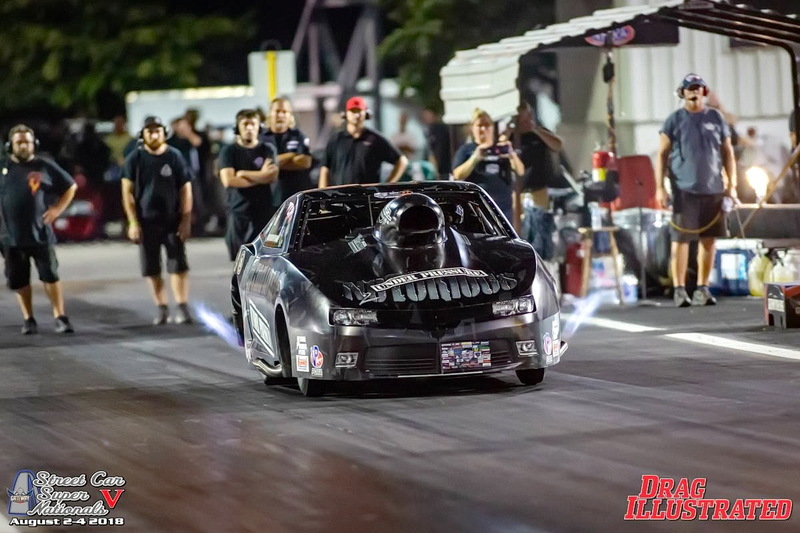 In round one of Slammers competition Haney’s nitrous-injected 2014 Camaro posted a 3.81 pass to beat Michael Bradley. A much-needed bye run followed for round two and though again running only 3.82, Haney’s team “figured something out” and made adjustments for a semi-final meeting with Chad Javers and his supercharged ’67 Mustang. The two cars left the line just one-thousandth of a second apart, with Javers reaching the finish line 660 feet later in 3.767 seconds at 197 mph to Haney’s 3.769 at nearly 201 for a three-thousandths margin of victory. “It was too close to call from inside the car, but that was one of the best drag races of the entire weekend,” Haney said. “He had me down low, but I was reeling him in and just ran out of track. So, a semi-finals finish in Slammers, not a great result but at least we finally got the car figured out. “Plus, we ended up leaving with no carnage, nothing bad other than what we kind of went through at first, and we all got home safe. In fact, not one car even got close to the wall all weekend, which is a credit to the track and prep by Kurt Johnson with VP Fuels traction compound. “Overall I’m happy with the Mid-West Series race in St. Louis,” Haney insisted. “I didn’t do all that well personally, but the series in general is doing really well. Our sponsors are happy; our racers are happy; we had our biggest entry list in Pro Mod ever with 38 cars; 61 different drivers have entered at least one Mid-West Series race so far this year and we’ve had six different drivers win in six races, with five of them in blower cars and one nitrous, but nitrous cars have been runner-up in five of those finals, too, so we’re showing good parity. Things are looking good,” Haney said. Keith Haney Racing will return to action with the Mid-West Pro Mod Series Sep. 7-8, at the all-new Xtreme Raceway Park in Ferris, TX. Based in Tulsa, Oklahoma, Keith Haney Racing (www.keithhaneyracing.com) fields two cars in the Mid-West Pro Mod Series (MWPMS), as well as for select NHRA and PDRA races and one-off special events. Keith Haney Racing appreciates the support of sponsors Summit Racing Equipment, Lucas Oil, Strange Engineering, RacingJunk.com, Reher-Morrison Racing Engines, MoTeC Systems USA, Switzer Dynamics, Elite Motorsports, Brandon Pesz Performance & Tuning, M&M Transmission, Menscer Motorsports, Total Seal, Mickey Thompson, Kryptonite Kustomz, Browell Bellhousing, and Larry Jeffers Race Cars.